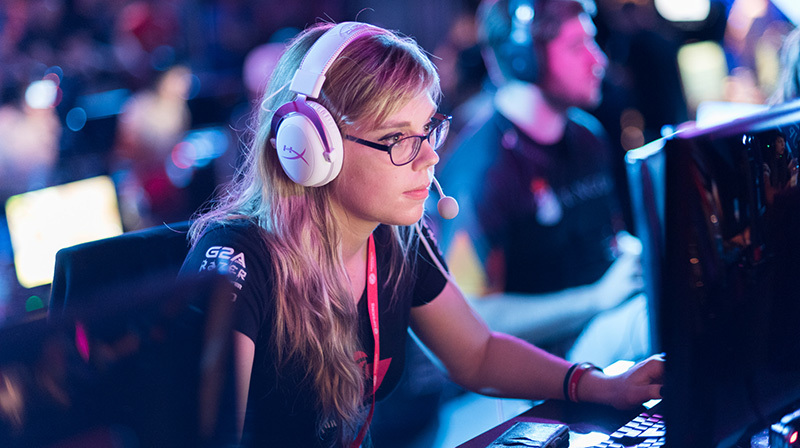 Stéphanie Harvey will be the guest speaker at Morisset’s Media Centre to share her experience as a professional gamer and game designer as well as play Counter Strike with attendees. Being a five-time world champion professional gamer (Counter Strike 2007, 2010, 2011, 2012, 2015) comes with its fair share of perks, endorsement deals, international travel, tournament paycheques and well-deserved exposure in a world where women are still establishing their place in a predominantly male culture. But there are also drawbacks. That competitive spirit is what has helped Harvey win her five world championships while forging a career as a game designer at Ubisoft (the company just released her first game, Far Cry Primal). It’s also what led her to co-found MissCliks, an organization working to increase the visibility of female role models in geek and gaming culture. Harvey is part of a growing group of individuals and organizations, like Feminist Frequency, founded in 2009 in response to online harassment and threats directed at founder Anita Sarkeesian, that are advocating for change related to online harassment, whether it originates from inside or outside the gaming community. “I think the reason we’re seeing a lot of people advocating for change at the moment is because those on the receiving end have had enough and are pushing back,” she says. Besides bringing her message of change to uOttawa, Harvey will also share her expertise by playing 10-15 minute Counter Strike sessions with attendees in the Media Centre’s new lounge. Don’t miss Stéphanie Harvey on September 15, 2016, at 1 p.m. in Morisset 155. Register for the free Stéphanie Harvey event, organized by Community Life and the Library.